Ever since my friend Kathy at Reinventing the Event Horizon wrote about meeting people she’d only known through blogging, I’ve been dreaming about doing the same. There’s a unique intimacy created through blogging. One opens the heart, either to share ourselves or to address the beauty discovered in others’ posts. People touch us with their words, their humor, their choices of images and music. We see ourselves in them. We feel heard and recognized. Through this unique dialogue, we find ourselves falling in love with strangers. So, I imagined a cross-country trek—east to Lexington, LaSalle and Durham; west to Durango and Eagle, Idaho; and overseas to Evelyn in Scotland, Rachel in England and Vivien in the Netherlands. And those are only the friends who have shared their places of origin. There are so many more. I recently spend a few days traveling to Oklahoma with my family. The official reason for this trip was to visit my nephew, but I was actually on a mission to make my first blog-to-flesh connection. Lori from Day by Day the Farm Girl Way drove 3 ½ hours to do in person what we do online—share our stories and “love on each other.” Lori picked me up at my motel, and we spent the next 5 hours breakfasting at the local IHOP, then wandering Main Street and the little antique shops there. The connection was instantaneous. We both commented on how comfortable we felt, like old friends who get together every Saturday to natter and share space. Of course, Lori’s blog enchanted me. Through it I knew her sensibilities, her deep connection to nature, and her wide-open heart. But, what I realized was that a person’s blog can only give us a snapshot of the complexities and delights of their soul. There’s so much more to treasure, so much more to love. Thank you, Lori, for this first experience of bringing virtual friendship into the material world. You are as I expected—grace and beauty and love tucked into the Oklahoma countryside. What a wonderful start to a dream come true. Oh joy…before I knew where the ‘follow’ button was, I carefully made a note of Day by Day the Farm Girl Way…and promptly lost it in my computer somewhere (well they do not have a lost and found box full of scraps of paper to rummage through do they). When I sent my son’s lovely father (10 years my junior) away, as he had become impossible for son & I to live with…I went blog reading and tried Skype…well three months and I bumped in to an Irish seaman same age, same home port Cobh/Cove Scotland…same humour and My FIRST internet twin experience…and you know what…this fellow has become MY BEST FRIEND IN THE WHOLE WORLD…and we have been inseparable for 5 years!!! There is something unique in the next level above the internet…but what will that level be called SUPRANET? Something BIGGER must be coming as we never stay the way things are. Exciting & scary! Ooooh…Haloween. We never stay the way things are. No truer words were ever written, my bonnie friend! Sandy, I am still basking in the glow of a most amazing 5 hours of new friendship… in person! I love your term, “blog-to-flesh”!! Our time together went along way too quickly, and on the drive home I found myself a little bit sad that I had to leave. Not 10 miles out of town I was tearful but assuring myself we would meet again the next time you visited Oklahoma, or perhaps if I decided to venture up north… and then, it HIT ME!! The smell of skunk of all things!!! Yes, your skunk totem was my sign to cheer up and OF COURSE we would meet again! Oh, skunk never smelled so good! Thank you so much for initiating the meeting. Thank you for having a dream and following through. And, thank you mostly, for sharing your beautiful spirit with me. I am proud to call you friend… and I can’t wait to see you again soon! Me, too, also, all this, Vulture Girl. Oh, Sandy. I’m so happy to have inspired you to begin meeting other bloggers. This meeting with Lori sounds wonderful. We would LOVE you to come visit us in Lexington, my friend. Just let me know when. We’ll wecome you with open arms! brought tears of joy for you and Lori – and when i noticed Durango on that list too….a beam from me to you. Yeah!! A blogging-buddy trip!! It’s so amazing connecting with people who live all over the world- I totally love it! Don’t go to Ireland though coz I live in little ole England!! Great that you and Lori met up. Oh, for heaven’s sake! How embarrassing! Okay, then, I’ll just have to find you in England (and edit my post)! 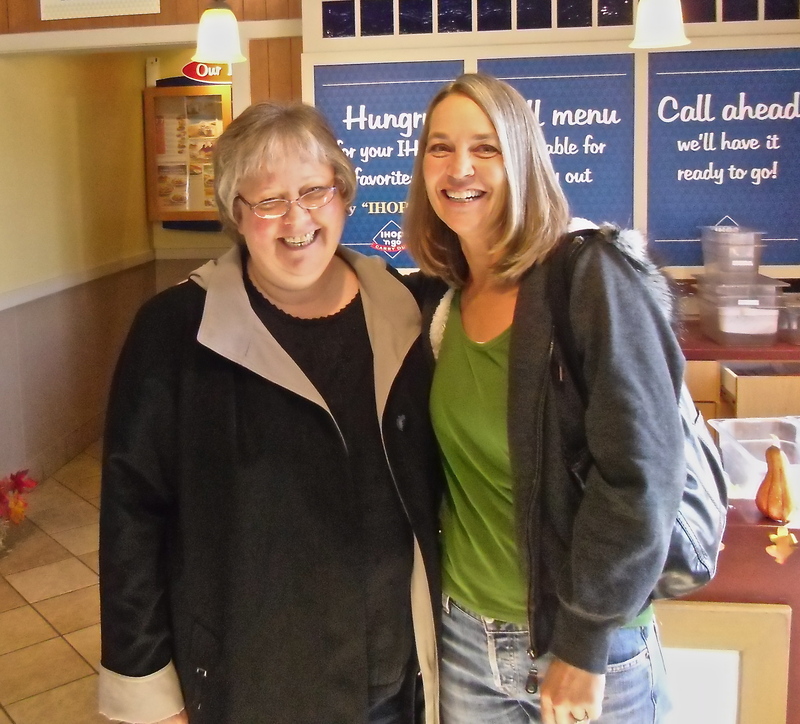 How wonderful to meet a bloggy friend! I’ve been able to do it once, and it was great. Hope we get to meet in the future too, Sandy. Are we as funny in person as we are online? Is this one of those hypothetical questions? Whether your trek be in our shared imagination or in the flesh, my blogging-sister will always be welcome in Eagle, Idaho! 🙂 Hugs! Wouldn’t that be something? No power in the ‘Verse could stop us. For some time now, I have intended to share about a wonderful experience from earlier this fall. My friend Sandy has expressed, quite eloquently, what I could not find words to say. 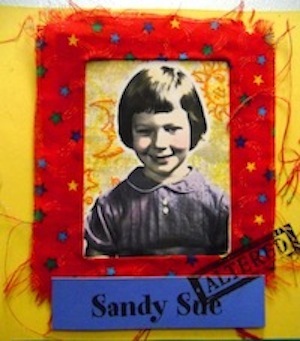 Thank you Sandy, for this heartfelt and loving post! Me, too, also. Thanks for visiting. Wow, this is VERY interesting to me as I would love to meet some of the “friends” I have met through making comments on blogs. For instance, I also call “littlesundog” a friend; a friend that I met through another blog – “Melissa Not Dusting” if I remember correctly. Lisa (as I call her) was also someone I met through another blog, etc. Hi up there, Lori! It’s a weird, anonymous intimacy we forge here! Stunning piece of writing and adventure – thanks for sharing. And thanks for visiting and deciding to follow along!